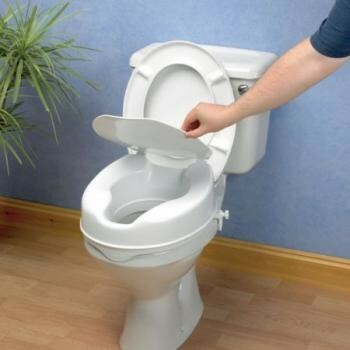 Raised toilet seat with a large rear cut out for conventional personal cleansing. Raised toilet seat with a large rear cut out for conventional personal cleansing. Smooth contoured surface provides comfort and security. Two brackets allow quick and easy attachement and a front lip ensures correct positioning. Includes Lid.